This book is a breath of fresh air in the land of YA dystopia. Tackling sensitive subjects such as teen suicide within the course of a novel is never easy. Taking on said subject while world building, maintaining authenticity of message and establishing a relatable cast, is nothing short of daunting. This book packs both a literal and figurative punch from it's opening pages, and maintains a storyline that grips the reader and keeps the pages flying. Though the high level of loss and high emotionality of this story's first half can prove very disconcerting; it is balanced out and given context by the second. The relationship between Sloane and James seems a little codependent; given the fact that they serve as each other's emotional touchstone, one can let that slide. 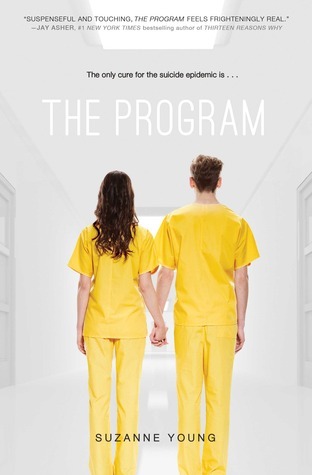 Suzanne Young does a wonderful job establishing "The Program" as " police state." Thereby establishing a tension which keeps the reader "waiting for the other shoe to drop." 1. The vague explanation of how the suicide epidemic came about. 2. The missing details of how "The Program" works. 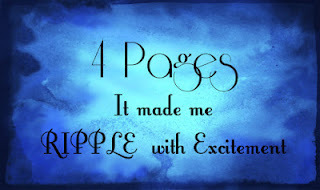 Here's hoping that these issues will be rectified in book number two. This is a really timely and passionately expressed read, that deals with a subject close to the hearts of today's teens in a new and wonderful way. I always like it when an author manages to come up with something new. It's refreshing to read something different and I love the sound of this book.